This manual was collaboratively designed and written by a community of Open Translation innovators using the FLOSSManuals platform. It is the product of the first-ever Open Translation Tools Book Sprint, and builds on work done at two Open Translation Tools convergences, a pair of live events designed by Aspiration (www.aspirationtech.org). and realized in collaboration with a wonderful set of partner organizations and the support of generous and forward-looking funders. The Open Translation Tools Book Sprint was held in De Waag, a beautiful historic building located in the center of Amsterdam, kindly provided as a venue by De Waag Society for Old and New Media (www.waag.org). Many thanks to Lucas Evers and Christine van den Horn for organising the venue and being fantastic hosts. The first Open Translation Tools Convergence (OTT07) took place in late 2007 in Zagreb, Croatia, co-organized by Aspiration and Multimedia Institute (www.mi2.hr). Supported by the generosity of the Open Society Institute (www.soros.org), with additional support provided by TechSoup Global (www.techsoupglobal.org), this event produced the initial framing paper on Open Translation, www.aspirationtech.org/paper/opentranslationtools . The second Open Translation Tools event was held in Amsterdam in June 2009, and was co-organised by Aspiration, FLOSS Manuals (www.flossmanuals.net), and Translate.org.za. OTT09 was again supported by the Open Society Institute, with generous additional travel support from the Ford Foundation (www.fordfound.org). OTT09 was held at Theater de Cameleon (www.decameleon.nl), who provided a stunning facility and top-notch hospitality. Both OTT events ran for three days, and were attended by a total of more than 140 people from over 40 different countries, speaking over 50 different languages. The OTT agendas were collaboratively developed by participants and event organizers before and during the gatherings, and the proceedings were directed using Aspiration's collaborative approach to event facilitation (facilitation.aspirationtech.org). Each session was run as a discussion led by one of the participants. All sessions were documented with notes that can be found on the OTT wiki (ott09.aspirationtech.org). Throughout the OTT09 conference, participants were invited to contribute to the proposed index for the Open Translation Tools book and to learn the FLOSS Manuals tool set so they could contribute remotely. 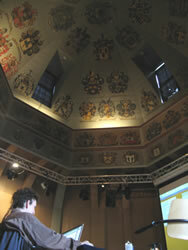 The Open Translation Tools Book Sprint immediately followed OTT09 at De Waag. Directed by Adam Hyde of FLOSS Manuals, over a dozen participants worked from 10.00 to 22.00 each day on the book, iteratively developing content and grouping chapters while discussing terminology, technology, licensing, and a wealth of other Open Translation topics. The manual was written in five days but the maintenance of the manual is an ongoing process to which you may wish to contribute. Select the manual http://en.flossmanuals.net/bin/view/OpenTranslationTools and a chapter to work on. If you have questions about how to contribute, join the chat room listed below and ask! We look forward to your contribution! It's a good idea to talk with us so we can help co-ordinate all contributions. A chat room is embedded in the FLOSS Manuals website so you can use it in the browser. This manual exists as a dynamic document on flossmanuals.net, and over time will have an ever-increasing pool of authors and contributors. The following individuals were part of the 2009 Open Translation Tools Book Sprint. We thank them for their tireless efforts to create this first-of-its-kind volume. This manual is a culmination of almost three years of research, planning, convening, and collaboration. Aspiration first proposed a program in Open Translation to the Open Society Institute (OSI) in 2006. OSI subsequently funded two Open Translation Tools convergences, in Zagreb in 2007 (OTT07) and in Amsterdam in 2009 (OTT09), as well as the Open Translation Tools Book Sprint following OTT09. The Ford Foundation and TechSoup Global also provided generous travel support for event participants. We are deeply grateful to all our funders for their generous and forward-looking support. Contributors to the Open Translation Tools Book Sprint, who worked tirelessly over five days to create a first-of-its-kind volume on Open Translation. 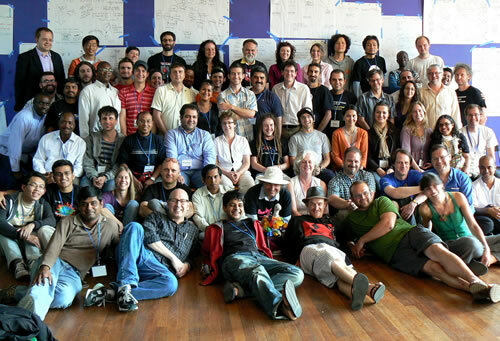 All the participants and facilitators at OTT07 and OTT09, whose shared wisdom and knowledge are aggregated in these pages. In particular, thanks to those who took notes during sessions for the wiki, as that material forms the basis for substantial parts of this document, and to those who contributed ideas towards the design of the book. FLOSS Manuals (www.flossmanuals.net) and Adam Hyde, who co-organized OTT09 and directed the Book Sprint that generated this volume. We salute FLOSS Manuals's vision and leadership in the field of free and open documentation, and the innovative platform they have developed. Translate.org.za (translate.org.za) and Dwayne Bailey, who co-organized OTT09 and whose leadership in the fields of FLOSS translation and localization is unparalleled. Tomas Krag, who pioneered the Book Sprint concept with the creation of Wireless Networking in the Developing World (www.wndw.net). De Waag Society for Old and New Media (www.waag.org) and Lucas Evers and Christine van den Horn, who provided an amazing venue for the Book Sprint, fantastic hospitality, and also organized the book publication reception. Theater de Cameleon (www.decameleon.nl), who provided a stunning facility and top-notch hospitality for OTT09. Ethan Zuckerman (www.ethanzuckerman.com), who has been a tireless champion of Open Translation in his work with Global Voices Online and elsewhere, and who contributed his essay "The Polyglot Internet" for the introduction of the Open Translation Tools manual. Hotel Van Onna (www.hotelvanonna.nl), which provided wonderful accommodations and hospitality for the OTT09 Book Sprint participants in Amsterdam's Jordaan neighborhood. Multimedia Institute of Zagreb (www.mi2.hr), who co-organized the OTT07 event that started all the fun, serving as passionate participants and collaborative partners without equal. OTT07 simply would not have been possible without their leadership and support, and the high quality of participant experiences there was a direct result of their exhaustive attention to detail and hospitality. Open Society Institute (www.soros.org), which provided the funding to make OTT07, OTT09 and the Open Translation Tools Book Sprint possible, and Janet Haven, whose guidance and support in the development of Aspiration's program in Open Translation have been ongoing. Ford Foundation (www.fordfound.org), which provided support for travel to OTT09 that allowed key participants to join in the proceedings. TechSoup Global (www.techsoupglobal.org), which provided support for travel to OTT07 that allowed key participants to join in the proceedings. In short, we thank everyone who has been involved in the Open Translation program to date, and we hope to find many opportunities to meet together again and further strengthen this nascent network of practice.